Keep calm and check your emotions. For a large part of my life, I wondered why I was so different from everyone else. When I started my first business, I wondered why other entrepreneurs did not seem to struggle with the emotional issues I was having on a daily basis. It was not until a few years ago that I first heard of HSP. I am a highly sensitive person. It was hard to admit that at first but the signs were there. The research suggests that as many as one in five people are highly sensitive people. We feel our emotions more strongly, we think about things more deeply, and we sometimes go to crazy places in our minds. 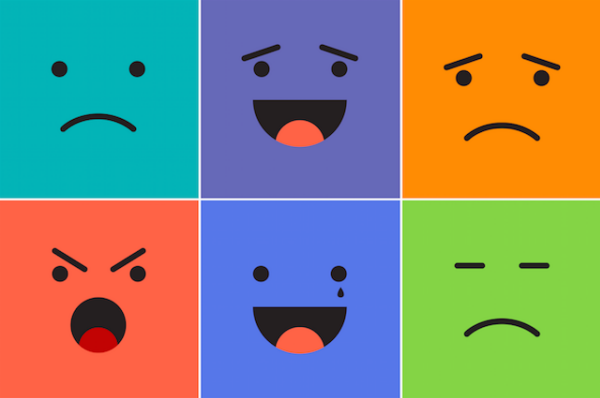 These emotions can help or hurt your business, and in too many cases, it is a major problem. Here are six emotions that need to be constantly checked if you are a high sensitive person and entrepreneur. The dictionary defines jealousy as "feelings of worry over the potential loss of something valuable." In business, experiencing jealousy is fairly common, but those feelings are amplified if you are a highly sensitive person. You are nervous and experience moments that threaten your business as you make up scenarios in your mind. If left unchecked, jealousy has the potential to sidetrack your progress or even worse. As an HSP, you have to evaluate the situation rationally. This might mean talking it over with a support group—such as a mastermind group—or thinking about things objectively. Get to the cause of why the jealousy is in your mind and deal with it before it festers. Jealousy and envy are often confused. Envy is a feeling of discontent or resentment of what someone else has. This might be one of the most common feelings in businesses. For a highly sensitive person, envy feels too powerful to overcome. We see someone else's success and let our envious thoughts distract us from what we should be doing. Your focus, as an entrepreneur, should be what the next steps are that will help your business grow. Social media has allowed us access in a way that makes envy a common emotion. Just because an entrepreneur had success does not mean that what they did is right for your business. You can’t envy what they’ve done or had, you have to make this about those your business serves. This can’t solely be about you. If you struggle with envy, know that it is an emotion and feeling you can overcome with the proper perspective and focus. Getting angry is a part of being human. For a highly sensitive person, we feel anger differently. We absurd a frustrating situation and spend more time than we should letting that anger build. Before we know it, a small issue turns into a life-changing event. Anger is bound to happen, but it does not need to be an emotion that affects your business. Talk it out, address the reason why you’re mad and don’t let it build. Releasing is your best chance as a highly sensitive person. Feeling nervous and anxious is common for highly sensitive people. Entrepreneurs, in general, experience these emotions from time-to-time. It is natural to feel anxiety with certain decisions, but it should not cripple you from doing what needs to be done in your business. If you are a highly sensitive person, anxiety has the ability to hurt you. Just like the other emotions, get to the root cause and do something about it. As HSP’s, when we want something, we want it right away. We see a new marketing tactic or strategy that we think will grow our business, and we act before thinking it through. Being impulsive never translates into a smart strategy for any entrepreneur. Planning, thinking, advice and more are necessary to experience success in business. Feeling content about your life or business is not necessarily a bad thing. But, for a highly sensitive person, being too content means settling for less than we want. Contentment leads to comfort and too much comfort causes complacency. For your business to grow, you need to grow as a person and you cannot do that if you are too comfortable with any success you have already experienced. Be happy and grateful for what you have, an attitude of gratitude is powerful, but always strive to reach bigger and higher levels of success. Being a highly sensitive person does not make you less of an entrepreneur. It means that you feel emotions in a different way, but you can use that to your advantage. You can feel for your customers and business more deeply and that will create a deeper connection. Embrace who you are and use that to help your business grow.